Open government is the notion that allows transparency of governments in running matters pertinent to public interests. According to that concept, the government shall allow its citizens an access to government documents and a right to obtaining information relating to public matters. In Malaysia recently, the Open Government initiative was represented in the Public Sector Open Data Portal programme which was launched in September 2015 by MAMPU, a Unit under the Prime Minister’s Department. It declares that the aim of such initiative is to open and share government data to public and hence to enhance transparency and efficiency of government and to create a digital innovativeness. With this background, the question of how the Government deals with the increasing demand of freedom of information and other challenges ranging from personal data to the government data security is worth examining. I was invited to talk about this at an international conference hosted by Sydney Cyber Security Network, the University of Sydney, Australia. 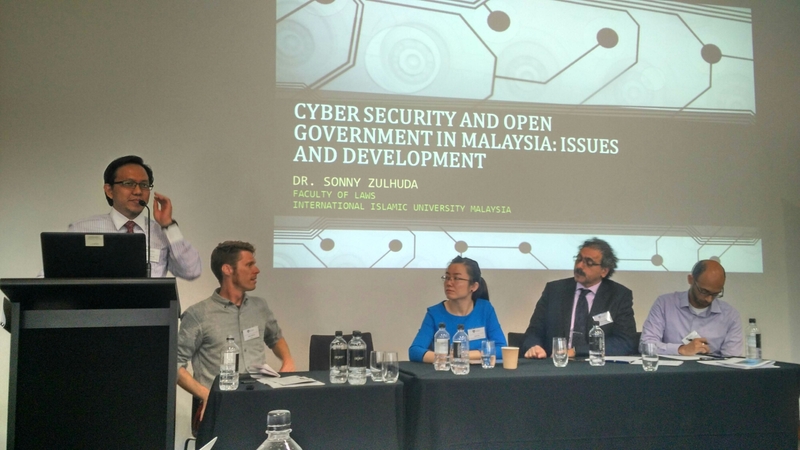 In my presentation, I highlighted a recent initiative of open data in Malaysian public sector and the related challenges on data security, privacy and information surveillance. I was also looking at the recent developments in Malaysia relating to the enactment of personal data protection law and recent policies relating to critical infrastructure protection. Lessons from cases and incidents surrounding information security and personal data breaches were discussed to trigger discussions on relevant solutions and best practice. Open Government is underway, but more economically-motivated and narrowly looked at “open data”. A long way to the “open government”. There is a striking imbalance in the legal framework between the protection of secret on one hand, and the freedom of information on the other. The data privacy law boosts the transparency in the private & commercial sector, but it is a missed opportunity for an open government. The open government initiative needs to be supported as national agenda, to be backed by a stronger law and national policy. 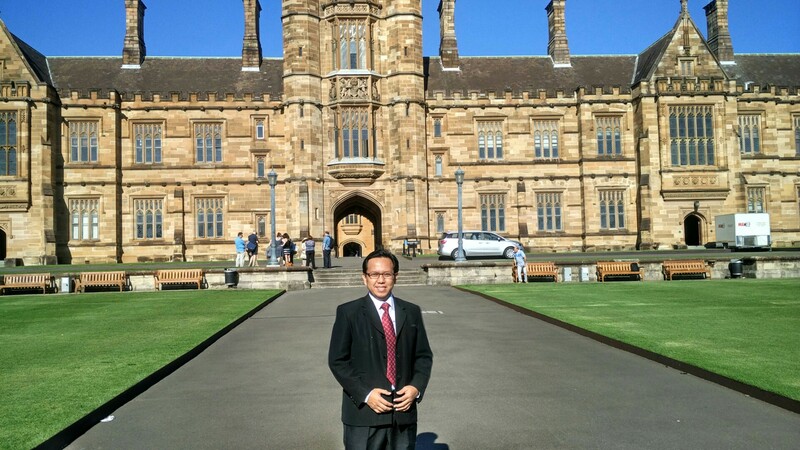 I was honored to be invited by the University of Sydney to talk about this on November 2016. The event, called “Cyber Security in the Era of Open Government”, sought to identify innovative solutions for improving the security of open government services and their users. Several keynoters were invited to provide for the best practices from the public and private sectors, both locally and internationally on issues surrounding the cyber security challenges associated with increasing citizens’ access to government data. The preview of the program can be traced in the USyd’s website page here. 1. Open Government and Cyber Security in Australia. Three renowned personalities from Australian regulators spoke, namely Tim Pilgrim (Acting Australian Information Commissioner and Australian Privacy Commissioner); Elizabeth Tydd, (NSW Information Commissioner and Head of the Information and Privacy Commission); and Rolf Green, who was the Director of Information, ICT and Digital Government Division, Australian Department of Finance, Services and Innovation. 2. 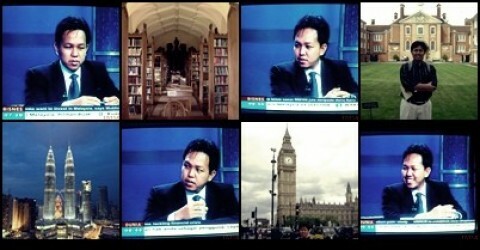 Open Government from Global Perspectives. In this session, I spoke alongside with an American Charles Bell, CEO of Startup Policy Lab (SPL); Dr. Janet Xu, Associate Researcher of the University of Oxford; and the Canadian Dr Khaled El Emam, himself a Professor at the University of Ottawa. I also like to note that this session was chaired by my friend Dr Adam Molnar, a lecturer in criminology at the Deakin University, Victoria, Australia. 3. Privacy, Surveillance and Government Services. This afternoon session presented a speakers from a diverse background, namely Dr. Elizabeth Coombs, NSW Privacy Commissioner; Professor Fleur Johns, Associate Dean (Research) UNSW; Bernard Keane, Crikey’s political editor.